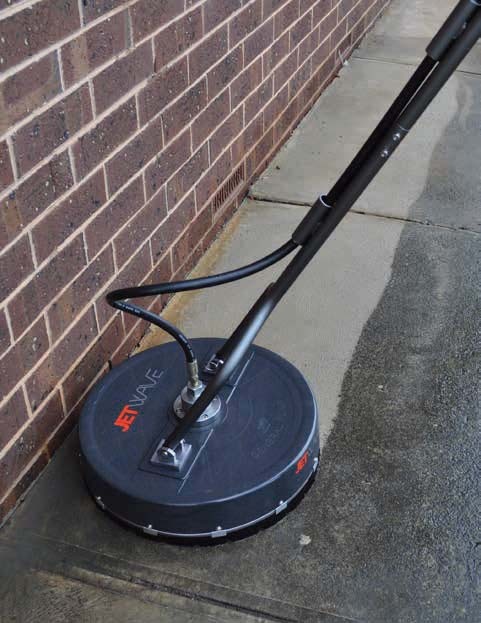 ABS Rotary Surface Cleaner | 21"
The Jetwave® 21 inch Hammerhead™ professional rotary surface cleaner will compliment your high pressure cleaner to save time and money. It cleans flat surfaces in a fraction of the time gliding easily for cleaning uniformly. Deck made from rugged heavy duty ABS material. Easy pull relax-action ergonomic hand trigger to reduce user fatigue. Large 21 inch cleaning pass. 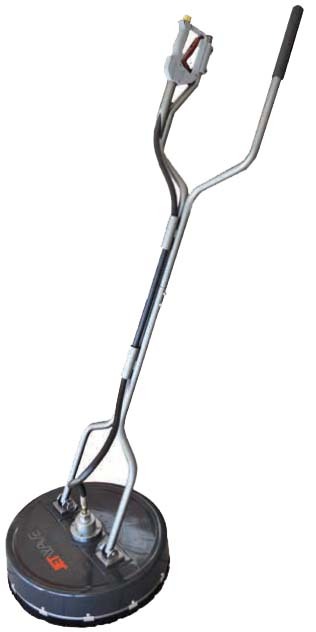 Manually lubricated grease zirc lubricated swivel. Precision two arm rotary nozzle bar. Heavy duty brush skirt to contain debris.